The 7th floor of the Knight Conference Center offers flexible meeting space, state-of-the-art technology, and stunning views from interior meeting rooms and an outdoor terrace. Our largest daytime rental space, the 7th floor can accommodate 300 guests for plenary sessions with additional space for breakouts, VIP staging rooms, food and beverage, staff rooms, and exhibitors. The 8th floor of the Knight Conference Center is our top level of private event space and boasts the best views of the Capitol building and surrounding area from a spacious outdoor terrace and internal meeting space. 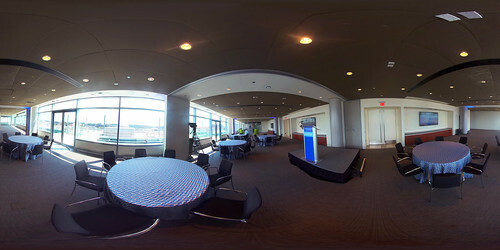 The 8th floor is ideal for breakout sessions, standing receptions, small dinners, and wedding ceremonies. 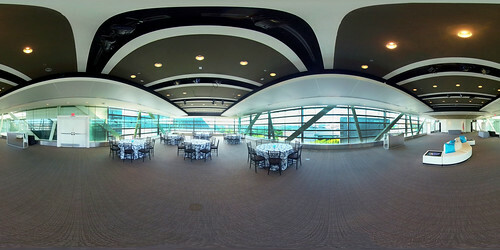 Capacities subject to change dependent on other equipment required in the event space.